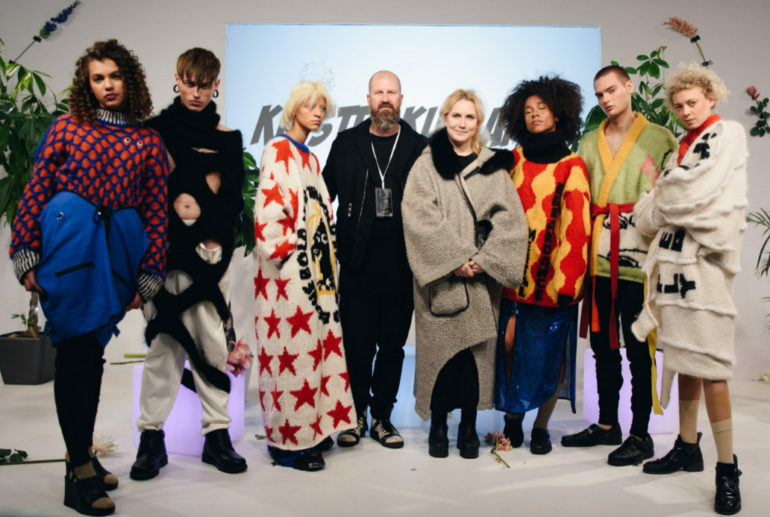 Fashion Scout, the international showcase for fashion pioneers, is delighted to announce Estonia knitwear designer Kristel Kuslapuu as one of one AW18 ‘Ones To Watch’ winners. Selected from a long list of emerging designers, the Ones To Watch winners receive the opportunity to showcase during London Fashion Week. Fashion Scout’s Ones To Watch provides a unique platform for the brightest new designers, with many going on to become established labels in the international fashion industry. The judging panel consisted of six industry experts including Martyn Roberts – Fashion Scout’s Founder and Director, Hattie Crisell – Acting Fashion Editor at The Times, Ida Petersson – Womenswear Buying Director at Browns, Emma Firth – Online Fashion Editor at Hunger, Kendall Robbins – Fashion Programme Manager at The British Council and Fabio Piras – MA Course Leader at Central St Martins. Created in 2014, the award is now in its 10th Season and continues to be one of the most anticipated shows during LFW. Ones to Watch is instrumental in raising the profile of emerging design on a global scale. Previous winners include; Eudon Choi, Georgia Harding, Phoebe English, Joanna Berling, Helen Lawrence, EDDA and Typical Freaks, alongside SS18 winners; Neo Design, Starsica, Ji Won Choi and Triinu Pungits. Kristel Kuslapuu’s eponymous label joins the Fashion Scout schedule, having caught the eye of the judging panel after showcasing at Talinn Fashion Week. Following graduation in 2017, Kristel continues to develop her award-winning label, which has scooped the prizes of 2008 and 2009 supernova in Estonia, Lithuania Fashion Injection and ERKI Fashion Show, alongside being showcased for Estonia at London Fashion Week in the International Fashion Showcase 2014. The AW18 collection is inspired by dark secrets, phobias, social anxieties and traumas. The pieces themselves, talk about serious and inconvenient subjects through highest levels of self-irony. Most of the bold, colourful designs in the collection are hand knit as a protest against fast fashion. A twist is added by portraying serious topics with cute and fuzzy materials, such as yarns from alpaca, camel, goat and sheep. Flirting with sculptural forms, bold colours, unique patterns, the collection shares provocative messages and symbols, transcending traditional gender conformity. Teet Sinisaar for the support.